“Observe my beloved child and grasp well these indispensible teachings,” began Vajradhara. The first bhūmi is called Durārohā (Difficult-to-enter). There is a call to cultivate the knowledge of the impermanence of all things and a resilient refusal to become entangled in the foolish and self-empty affairs of samsara, thereby never becoming enslaved to such phenomena. One begins to develop awareness of supernal Buddha-fields and discerns wholeheartedly the nature of undivided bodhipower. There is a refusal now to be chained to Mara’s delusion of clinging to skandhic-personality and the delusion of becoming entrapped in evil destinies. In developing this Right Understanding the devas in the assembly joyfully promised abiding protection to the maturing garbhachild. The second bhūmi is called Vimalā (Pure, Immaculate, devoid of all defilement). Growing in the Recollective Resolve, the garbachild masters Right Mindfulness and refuses to be enslaved by any past passions or fears. Because of this great resolve the mind is purified and develops a spirit of equanimity. This marvelous spiritual resourcefulness counteracts Mara’s delusions of subtle mistakes and any delusional episodes of self-determinism stemming from past actions. Thus, faithfully remaining prior-to any phenomenal episodes assures a proper spirit of Eternal Vigilance. The third bhūmi is called Prabhākarī (Light-giving, Luminous and Brightness of Spirit). 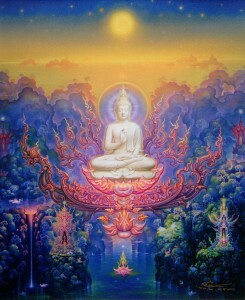 The future Light-Bearer acquires the Buddha-gnosis of countless Buddhas in the vast multitudinous worlds and universes. There is a cultivation of the Five Wisdoms culminating in the indivisible continuūm of bodhi. In such fashion one overcomes Mara’s delusions of coveting sense objects and being held captive to false attachments and memories. Thus Right Speech has been won empowering one to never again react to the differentiated and false body consciousness. The fourth bhūmi is called Arciṣmatī (Radiant, Effulgent). The light-bearer matures in abiding and unequivocal faith in the Triple Jewel. Any lingering traces of afflictive obstructions are dissolved-away through the bright power of bodhicitta. One also overcomes Mara’s delusion of being exclusively dependent upon concentration of mind and the delusion of being overly attached to doctrine. Hence, Right Action is now instilled in such a mind that singularly acts in the ways of deathless luminosity. The fifth bhūmī is called Sudurjayā (Difficult to Conquer). The maturing Bodhisattva has now developed a mind that is difficult to overcome by others. It has fully mastered the Four Noble Truths and is bathed in the dark principle that empowers it to fully precede all phenomena—simply allowing it all to unfold of its own accord (with no action or non-action on Its part) with the same quiescent spirit of the Nirvanic Mind Itself. Hence Mara’s delusions of rejecting all that transmigrates as well as its forced cessation are overcome. Right Living is now afforded such a mind that has no need for a conventional abode or shelter of any form. The sixth bhūmī is called Abhimukhī (Face-to-face, turned towards). Now practicing the self-realization and perfection of Noble Wisdom, it comes face to face and transcends both the need for escape from samsara and the yearning for nirvana. There is now freedom from both transitory and transmigratory existence and Non-existence. In this stage it has conquered Mara’s delusion of incessantly bringing to mind the examination of evolved and conditional states of being, and frequently bringing to mind all that is purified as well. Hence Right Effort is won in that very few illusional and delusional episodes present themselves as one’s focus is now sustained with an equanimous spirit. 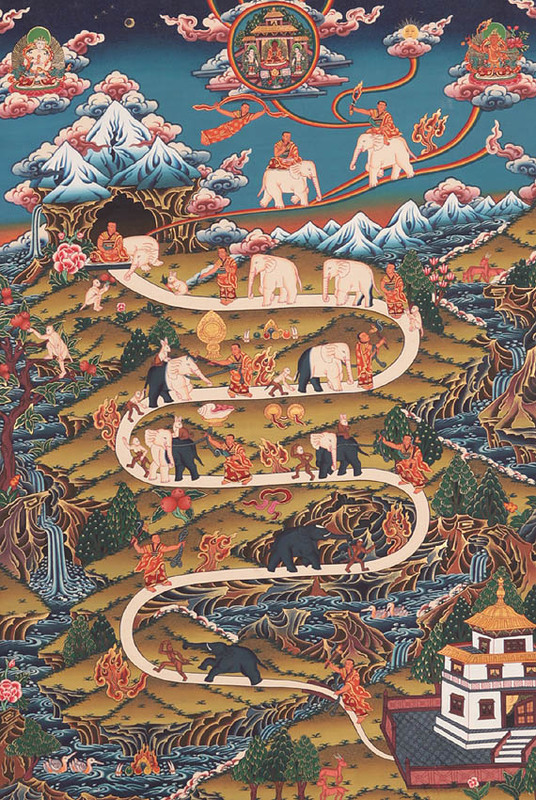 The seventh bhūmi is called Dūraṅgamā (Far-going, Far-reaching). All practical aspects of the training are now complete and thus all mundane concerns are now cessated; great siddhis lay ahead. The Light-Bearer now has the ability to rightly discern the thoughts and feelings of others. One enters into the great expanse of Supra Buddha-gnosis and participates in the spiritual attributes of all Buddhas. Mara’s delusion of bringing to mind subtle images of conditioned states as well as methods of focusing exclusively upon the imageless are now both transcended. Right Faith is now accrued that is not dependent upon the bewitched states of external rationalizing or internal spiritualizing. The eighth bhūmi is called Acalā (Immovable, steadfast). Now thoroughly non-conceptually oriented one is completely steadfast in the Recollective Resolve; one is Immovable (like Akṣobhya Buddha) in the face of all dharmas. The mirrored spheres of the Tathagatas body, speech, and mind are inconceivable and thus triumphant over Mara’s delusion of mastering images and any undue effort in sustaining methods of imagelessness. Right Concentration is now mastered as the deathless seed of the Unborn sheds infinite light on Its own Animating Prowess that Precedes the darkness of any animated agency. The ninth bhūmi is called Sādhumatī (Stage of Bright Wisdom) One now sustains success in the Recollective Resolve. There is a keen understanding of the languages of the devas, nāgas, and other mystical entities. There is now thorough understanding of the hearts and minds of men. Inconceivable samādhis are practiced and sustained. Mara’s delusion that one has completely and unequivocally mastered all the doctrinal and unlimited material in the Buddhist milieu, as well as having mastered the art of interpreting all of them still lingers in this bhūmi, and therefore needs to be disabled. The note of a single sound given under any circumstances is a sure-sign that Right Knowledge has been awarded the aspiring Light-bearer. 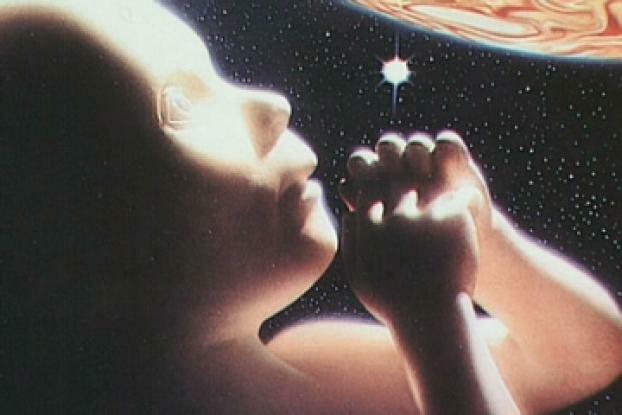 It now recognizes itself AS SUCH in the blissful freedom of the Unborn Mind. A Magnificent Lotus Flower Palace slowly enveloped the Dharma-child of Unborn Light as the newly designated Light-Bearer, seated on a jeweled-Lotus Throne and wearing a band of necklaces bearing jewels that shone like a vibrant sun, was approached by the Great Victors of the Ten Directions who gathered around the Throne of Unborn Light and anointed the forehead of their fellow Victor over the ways and dominions of Mara, the evil one. teleported into the very heart of the bodhichild: as with previous chapters, we can observe how Mahasiddha Acintapa becomes the siddhic-vehicle through which the action of the Tantra can be instilled in the very heart of the reader who freely enters into the full import of the Tantric discourse. lest you fail to pass the mystical standards of the Shining Noble Ones: indicating the full import of the traditional standards of the Ten Bhūmis that are prerequisites for Bodhisattvahood. Durārohā (Difficult-to-enter): many times this first stage is referred to as the “joyful” stage, sometimes implying that it doesn’t present any great challenges from the aspiring Light Bearer. Nothing could be further from the truth. This foundational stage requires much dedicated work before entering the latter stages. Those who are truly joyous at this junction are the mystical-forces, like the devas who provide protection. There is a refusal now to be chained to Mara’s delusion: you will notice how this is a recurring theme throughout all the stages. Mara’s influence is felt throughout these transitional stages. One needs to be mindful how these oftentimes subtle delusions can forestall one’s spiritual advancement through the stages. In this stage it has conquered Mara’s delusion of incessantly bringing to mind the examination of evolved and conditional states of being, and frequently bringing to mind all that is purified as well: as this recurring theme continues to unfold, we can see how very subtle Mara’s delusions can be. What appears to be “absolute” in essence, even the understanding of “imageless”, is not supposed to be held to as “exclusive within itself” or worshipped in-itself tooth and nail. They are all conceptual constructs and need to be bracketed at the proper point during the ascent of the bhūmis . This entry was posted in The Tathāgatagarbhatārā Tantra and tagged Bhumis, delusion, Recollective Resolve, Tathagatas, Ten Stages, Unborn Light. Bookmark the permalink.